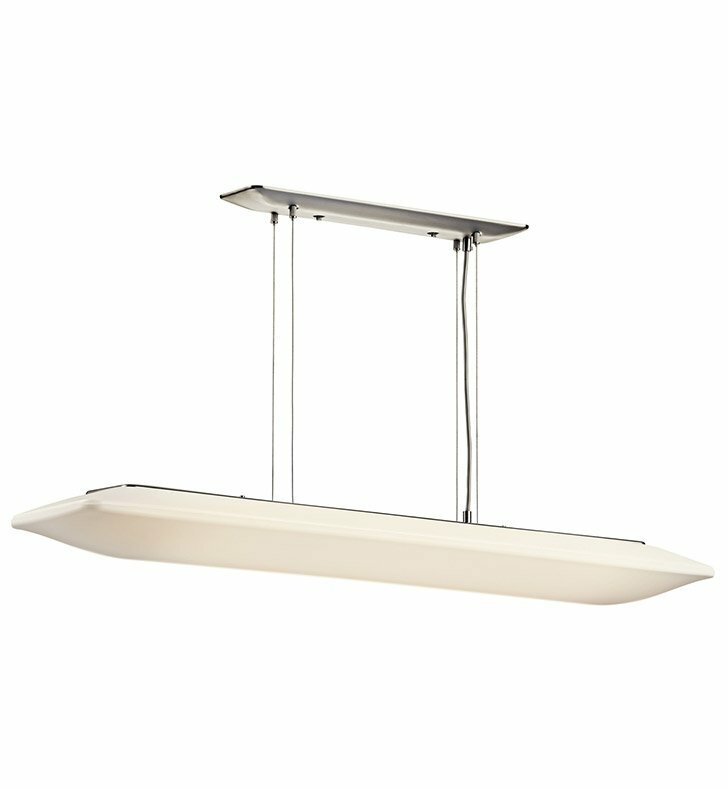 Questions about Kichler Lighting 10708NI? This 2 light ceiling light from the Kichler Ara Collection features a shallow, tapered pillow of white acrylic, accented with Brushed Nickel and suspended on semi-invisible cable. This collection of fluorescent fixtures is the perfect blend of cost saving energy efficient lighting and contemporary good taste. Dimensions: H 4" x W 10"